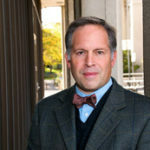 Brian K. Gran’s research concentrates on children’s rights and structures that hinder and advance their implementation. Under contract with Polity Press is Sociology of Children’s Rights. Gran has recently enjoyed invitations to publish with The Annual Review of Law and Social Science and to lecture to COST Action IS1409. He co-directs the International Survey of Human Rights. Gran serves on the Steering Committee of the AAAS Science and Human Rights Project and edits Societies Without Borders. With support of the NSF, Swiss NSF, and Fulbright Commission, he is completing a study of independent children’s rights institutions. Gran is a member of the U.S. National Conference of Lawyers and Scientists.